Showing the marvels of our planet through vibrant maps, facts and photos, this jewel of an atlas puts the whole world in your hands. Explore continents, countries, landscapes and settlements – and discover all the geography facts you’ll ever need for school! 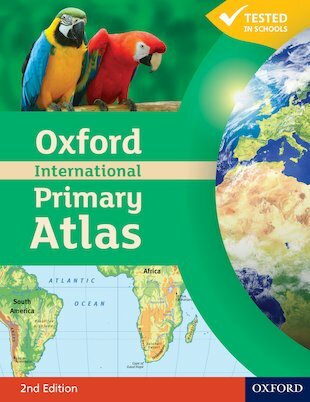 This high-quality, fact-filled Primary Atlas is brimming with clear and accurate maps, bright artwork, colourful photos and exciting graphics, plus the flags of the world. Bring geography into your home with Oxford – a name you can trust.